You may or may not notice all of these symptoms at one time. It is important that you know that all, none or some of these symptoms may occur. 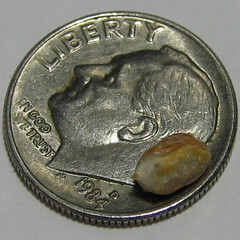 The symptoms that you are able to notice and recognize will depend on where the stones are located. There are quite a few causes of this condition in dogs. The most common causes of this condition are increased levels of calcium that are found in the urine. These calcium levels can be found in the blood as well. Other instances that may be causing your pet to have kidney stones include frequent urinary tract infections and certain diets that have the ability to product high urine pH, also known as alkaline. When it comes to the diagnosis in your pet, your veterinarian will need to be aware of all of your dog’s medical history. It will be a good idea to take notes as soon as you suspect that your pet is acting strange. The more that the veterinarian knows about your pet and the events that have taken place, the sooner they will be able to assist you and provide your dog with some form of relief. Once a diagnosis has been successful, you can move on to the options of treatment that you have. As far as treatment is concerned, there is usually more than one form of treatment available. In the unfortunate event that your dog is suffering from kidney stones, you may be given the basic form of treatment for this illness. In this instance, you will be given medication to give to your pet once or twice each day for one or two weeks. The medication that is prescribed will dissolve the kidney stones and have your furry friend back to go spirits in no time.